In different ways, Elyn Zimmerman’s works on paper and site specific installations explore conditions of the natural world and celebrate images and materials of nature. 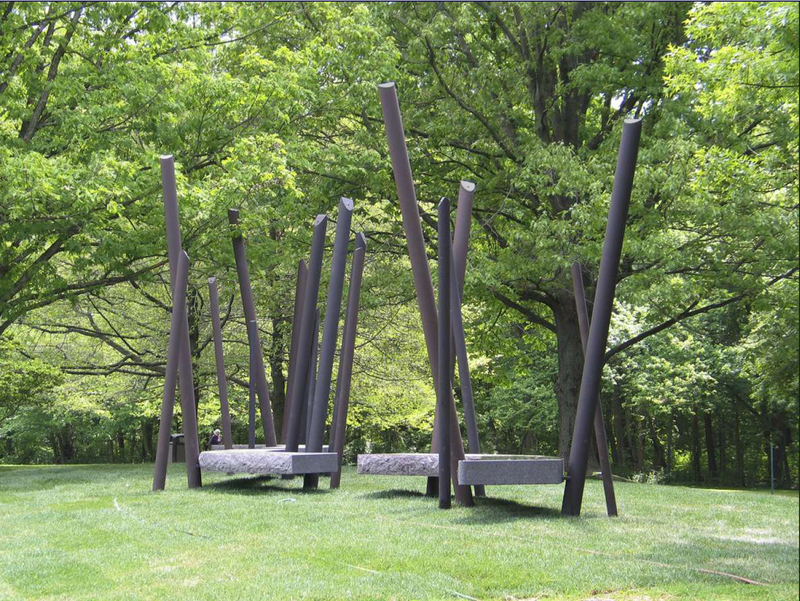 A sculpture designed for the Institute for Advanced Study in Princeton has been described as “a sensitive and original combination of elegant form and practical amenity.” At UCLA, Elyn earned a BFA in psychology in 1968 and a MFA in painting in 1972. She has won numerous awards, including artist fellowship grants from NEA and an exchange arts fellowship to Japan. She has served on the boards of Los Angeles Institute of Contemporary Art, Creative Time Inc., Massachusetts MOCA and the Commission of Fine Arts in Washington, D.C., among others. Her works are found in museums internationally, including LACMA, MOMA, the Whitney and the British Museum. Testament to our era and the fragility of art (even massive sculptural pieces) is the World Trade Center Memorial that she was commissioned to create to commemorate the 1993 bombing of the World Trade Center. The fountain was destroyed in the 9/11 WTC tragedy. Elyn divides her time between New York and Ojai. Zimmerman’s documentation took place in 2013 and was sponsored by Paula Spellman. The AfterGLOW was hosted by Martin & Virginia Furmanski.